... i've got chicago on my mind (long weekend trip coming up next friday!) 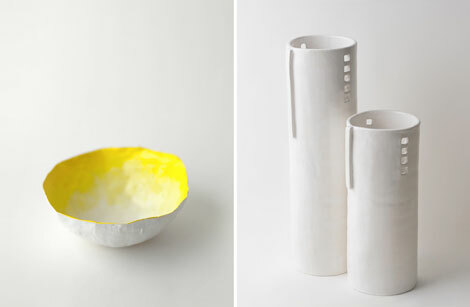 this gorgeous line of ceramic and papier-mâché vessels is by up in the air somewhere. their silos are inspired by the chicago landscape... love the clean + simple lines. happy weekend!